Pure consciousness, self or soul of all beings, the greatest lover of all time, the greatest king of all time, the greatest warrior of all time, the first yogi, prana in all beings, he is sun, moon, light, stars, whatever exist in (out world) or (in world) that is he, he is creator, preserve, destroyer, he is music of all Musicians, he is the most melodious flute player of all time, tremendous dancer of all time. 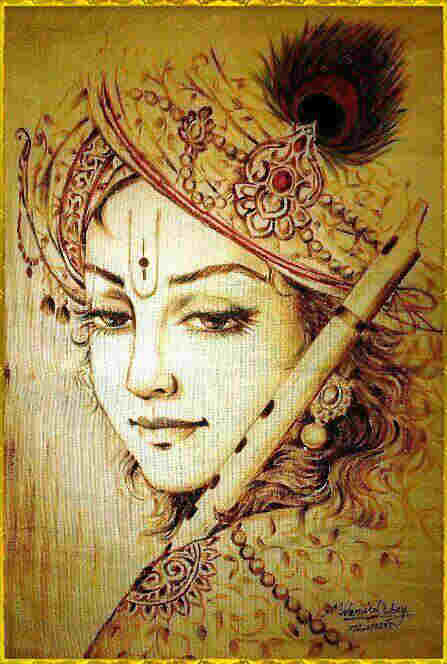 My words can not completely describe who is Krishna, one’s have to experience him. ← Can always peaceful & balanced life be lived or is it human nature to be sometime in pain and sometime in pleasure ?